The final mani I decided to do is a stamped drip marble; I really enjoyed the final look for these ones and it was a lot less mess than doing a real drip mani. For the two drip marble nails I used an image from Lina Nail Art Supplies Make Your Mark 06. 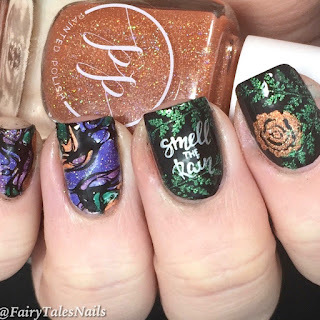 I then coloured this in with four polish from Painted Polish's Holiday Harvest part 1, I will have a full swatch and review of these polishes up soon. To finish the look off I painted my pointed and middle nail using Painted Polish Midnight Mischief which is a 1 coater black. 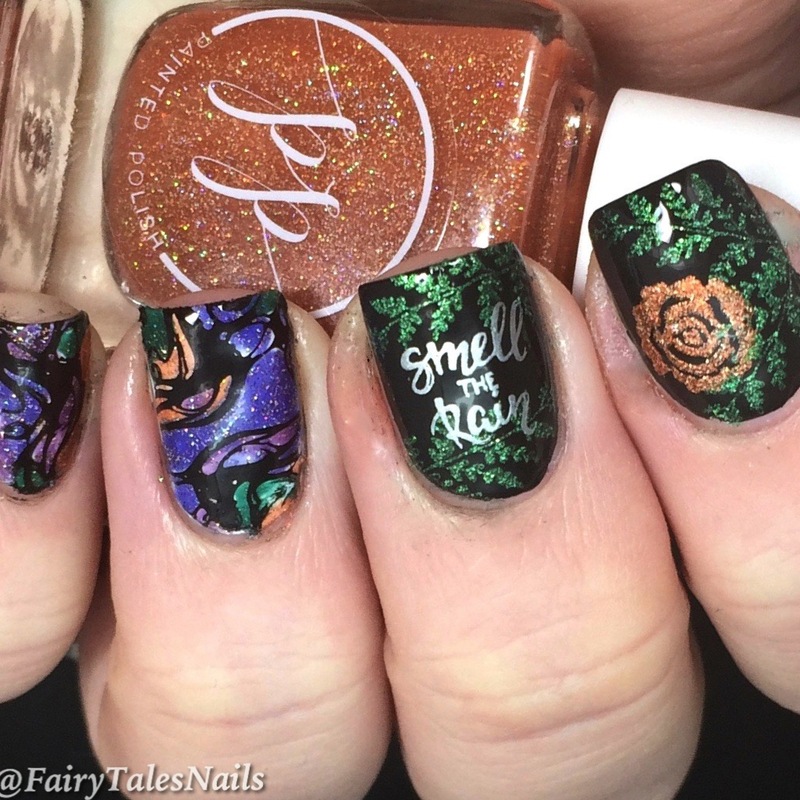 I then stamped some of the individual images from Make Your Mark 06 using 2 of the stamping polishes from Esmaltes Da Kelly Mario collection (hoping to have a full review of these up soon). I was quite pleased with how these turned out, it had the desired effect I was aiming for and was a lot less messy. 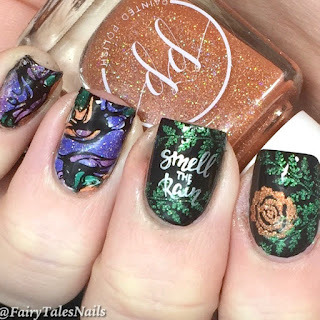 This is my final mani for marble week and I have really enjoyed trying different methods and colour combo's for this prompt. As always everyone else's final mani's are in the In-Linkz down below. 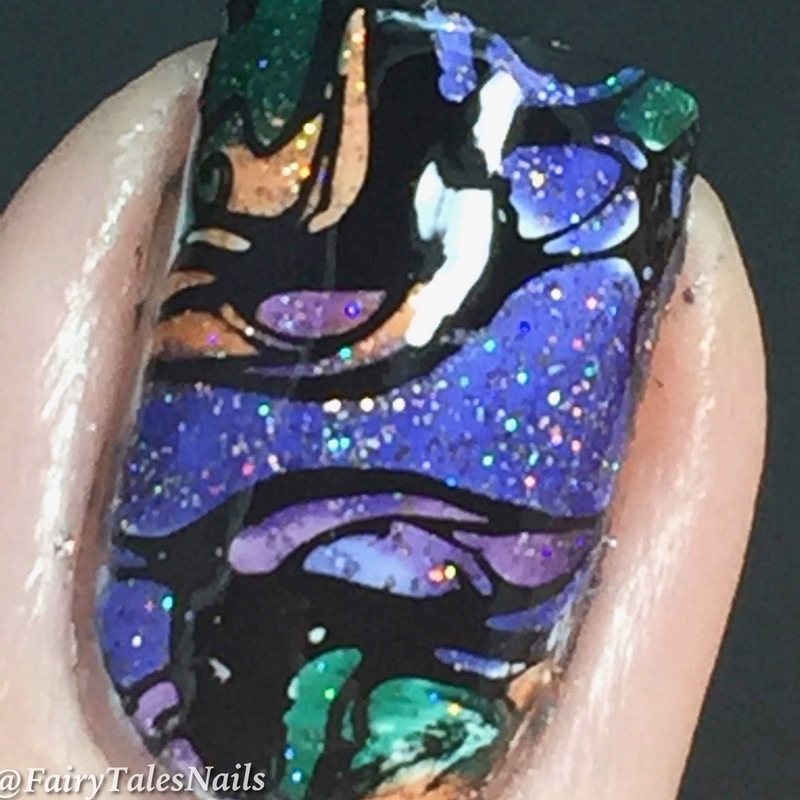 I really hope you have enjoyed this weeks Digit-al Dozen marble mani's, I am not sure I could pick a favourite to be honest. Would love to know your thoughts??? Hope you all have a wonderful weekend and I will see you back here next week with plenty more nail goodies to share.